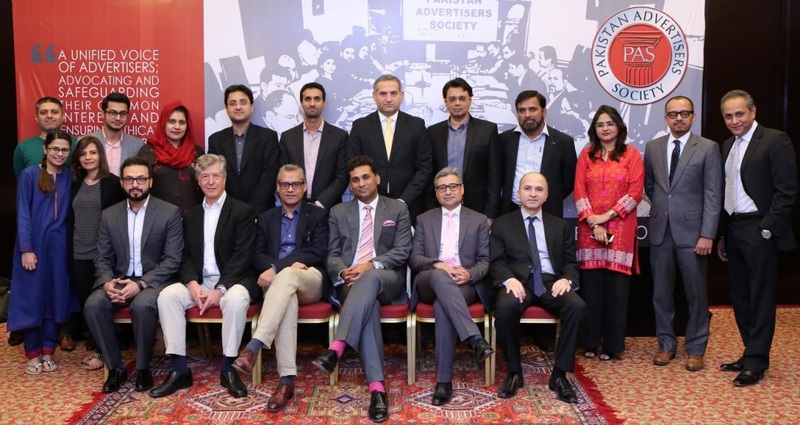 Pakistan Advertisers Society (PAS) held its 18th Annual General Body Meeting on Friday, December 11, 2015 in Karachi. The AGM was attended by all the major advertisers of Pakistan. Some of the important industry issues were discussed and the agenda for 2015 was proposed to the members. It also marked the end of two year tenure of the current Council and the Office Bearers. The elections for the new council for the term 2016-17 were also part of the proceedings. The newly elected Council comprises of 12 members. Mr. AlyMustansir, Chief Marketing Officer, Bank Alfalah was elected as the Chairman of the Society. Mr. Amir Paracha, Vice President-Sales, Unilever Pakistan and Mr. Khurram Masood Koraishy, General Manager, Sales and Marketing, Tapal Tea (Pvt.) Ltd. were elected as Vice Chairman and General Secretary respectively.